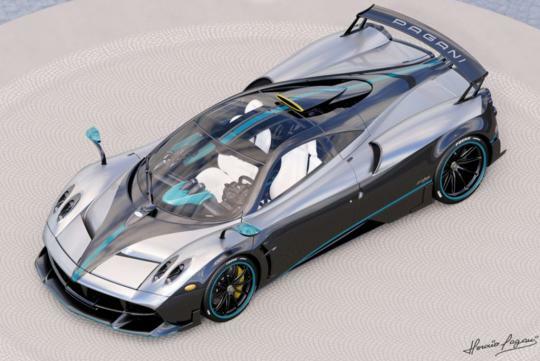 The Pagani Huayra has reached the end of its product life cycle after seven years and 99 units. The last unit is a one-off named L’Ultimo. According duPont Registry, the car was specially built for Brett David, CEO of Pagani’s Miami dealer Prestige Imports. With inputs from David, the car took around eight months to develop and is likely to be ready for delivery in June. Compared to the 'normal' coupe, this special edition unit sports a larger front lip spoiler and a fixed rear wing. It also wears a silver and green livery in a tribute to the successful Mercedes-AMG Formula 1 car. Elsewhere, the car still uses the same 6.0-litre turbocharged Mercedes-AMG V12 that produces 720bhp and 1,000Nm of torque. Power is channel to the rear wheels via a seven-speed Xtrac sequential automated manual transmission. Meanwhile, for those who have the cash to get a Pagani, fret not as the Huayra Roadster's and the Huayra BC's production run is still active.